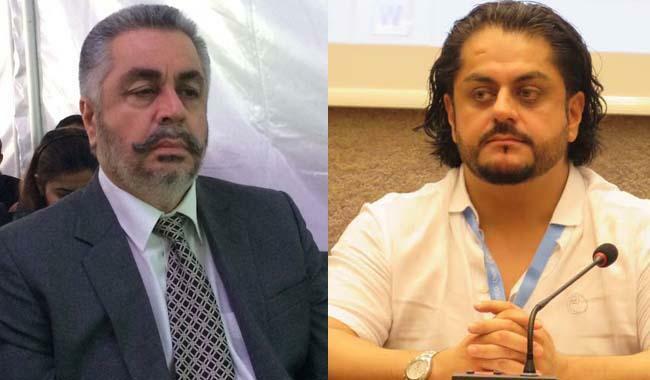 LONDON: Exiled nationalist Baloch leader Mehran Marri has accused his own elder brother of making false and ludicrous allegations against him of being a foreign agent, demanding of him to present proofs or withdraw allegations and apologise. Nawabzada Jangez Marri, who is Balochistan's Minister for Irrigation and Energy, told reporters in Brussels in a shocking claim that his younger brother Mehran Marri, who has represented Balochistan at the UN Human Rights Commission and in European Parliament for nearly a decade, works for foreign intelligence agencies and receives funds for his work. Jangez Marri, who is leading a delegation of Balochistan to woo investors from Europe for China Pakistan Economic Corridor (CPEC), said that his brother Mehran Marri, who is widely known as Mehran Baloch, and other exiled Baloch leaders were receiving funds from Indian spy agency RAW for their work against Pakistan and the CPEC but he didn't name anyone else other than Mehran Marri and singled him out. Speaking to this correspondent, Mehran Marri said that claim by Nawabzada Jangez Khan Marri was "baseless and ludicrous but very much expected". He said: "I will ask Changez to present proof to back up his claim. I will withdraw from political campaigning if he can produce a shred of evidence that I have ever received a penny from any foreign agency. I have not and there cannot be any evidence of that. Jangez is making such claims to make himself relevant to Nawaz Sharif's government so that he can stay as minister or may be get a better portfolio. I have campaigned for Balochistan all my life and I have done so because I am carrying forward the legacy of Nawab Khair Baksh Marri." Mehran Marri said that it was unfortunate that he has been labelled a "foreign agent" by his own brother when the actual reasons behind the bitterness relate to the will that Nawab Khair Bakhsh Marri wrote before his death in June 2014. In that will, Nawab Khair Baksh Marri had appointed his youngest of five sons Mehran Marri as Nawab (chief) of the Marri tribe. But in the same month, after the passing away of their father, Jangez Marri announced in Quetta that he was chief of the Marri tribe and not Mehran Marri but the Marri tribal elders have held that the will by Nawab Khair Baksh Marri that was in favour of Mehran Marri without any doubt. Mehran Marri said that it has become a "common weapon to call others foreign agents and spies when you don't have arguments. Its all about Nawaz Khair Bakhsh Marri's will and nothing else". At the same meeting in Brussels, Balochistan's Minister for Home and Tribal affairs Sarfraz Ahmed Bugti told audience that the CPEC has emerged as a game changer for the Balochistan as the project would bring immense economic opportunities for the province as well as the neighbouring countries of Pakistan. Sarfraz Bugti said, "Being the starting point for One Belt One Road project, CPEC also holds prospects for the European countries." He informed the audience about improvement in law and order in the province and the positive developments in the economic, social and political sectors of the province, reckoning that, "Under the present government, Balochistan was the first province to hold elections of the local bodies and currently national census was also being carried out successfully."